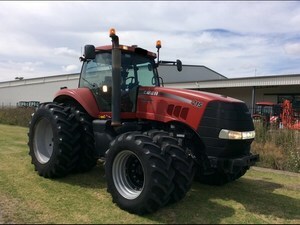 The next generation Magnum series tractors are here! Case IH engineers have integrated customer input with advanced technology to deliver five top-notch, row crop tractors ranging from 175 to 275 PTO horsepower. The Magnum family leads the industry in power growth, hitch lift capacity, hydraulic flow, interior cab volume, glass area, ergonomics and more. …Used 2016 Case JX80 ± 1402 ure, 60 kw.